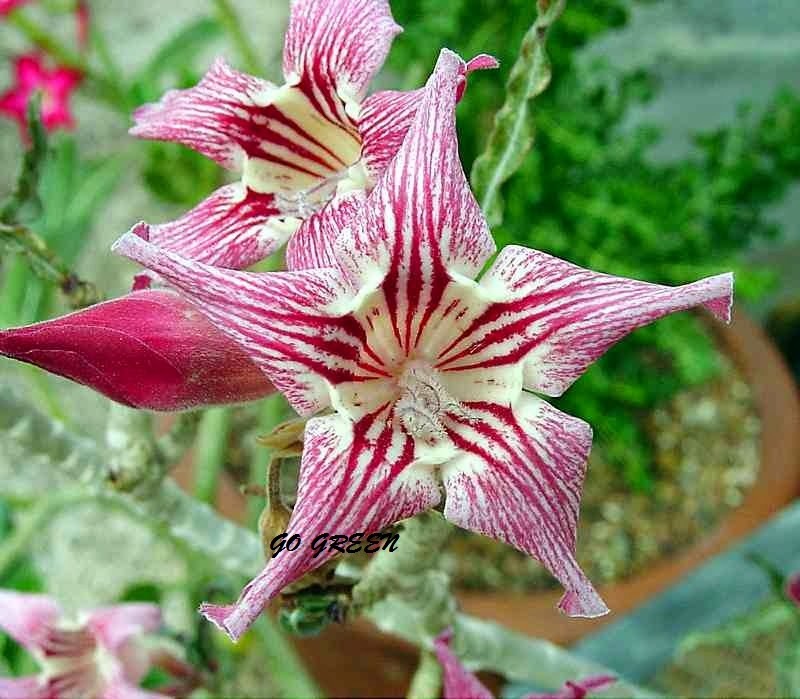 Adenium Obesum, or as it is more commonly referred to, the desert rose, impala lily and the mock azalea, is a succulent plant indigenous to East Africa. In its natural setting, it can grow to between 6 and 12 feet tall, while grown as a houseplant, it usually only reaches 10 to 12 inches in height. 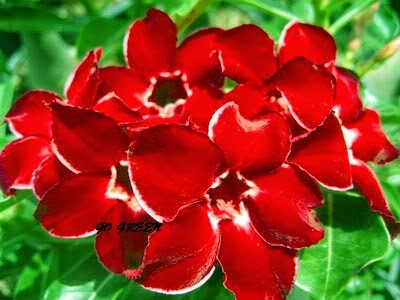 Adenium Obesum has 2-inch wide flowers that can range in color from shades of red, pink, bi-colors and white. It thrives if given plenty of light, warmth and regular doses of fertilizer. 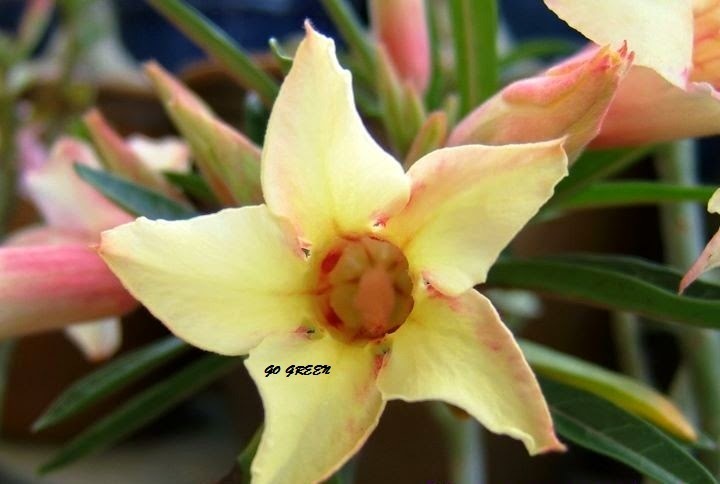 still ada ke seed adenium ni?